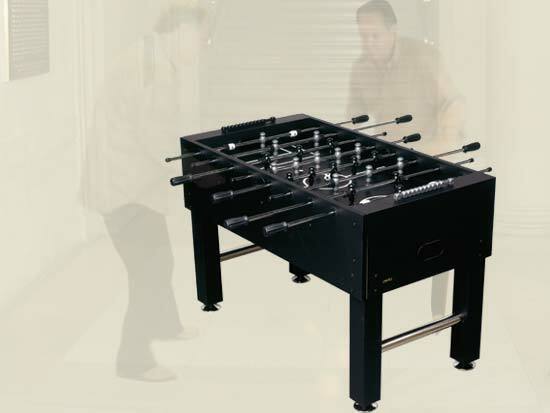 Get your post World Cup fix this fall at home…Our Players model foosball table is a sturdy game table at a great price for your basement or game room! •	One Goalie System with Elevated Corners. •	Legs: 3 ¾"MDF square hollow leg with black PVC; 2" plastic cross bars with chrome finish. •	Player Bars: 5/8” Solid Steel Rods Chromed w/Caps & Plastic Octagonal Handles.